Why book mobile campaign recs? Mobile device internet users in the US are currently at nearly 260 million, according to eMarketer. Meanwhile in Germany, there is almost 50% of ad consumption through mobile devices. As previously mentioned, there is a huge demographic of users that advertisers can reach. It is imperative for advertisers to not underestimate the power and effect that mobile has when it comes to making an impression. Our mobile campaign expert, Team Lead of Direct Booking at plista, Hannes Röseler, informs us that “landing pages on phones are also very important for performance campaigns since they have the same optimization rules as desktop (devices).” Mobile device screens are on a smaller scale and hold the expectation of its ability to be quick and efficient in providing users the information he or she seeks. Thus, understanding how to be impressionable is key. This is important for advertisers to be able to achieve better KPIs as, which on an abstract level, will yield more revenue. Let us have a look at ways to optimize mobile campaign to generate greater outcome for you. It only takes a few quick seconds for users to read or skip a campaign when scrolling. What are you trying to achieve with this campaign? On an abstract level, it is to get the attention of your target user, however, what is the concrete goal? Are you looking to direct your user to your website with your product, learn about your brand, or simply to get increased click-through rates? Be sure to set an individual goal for every mobile campaign you push, and execute strongly. When executing a campaign, the idea is to successfully push your message through its endpoint: the user. Be sure to keep the text short, but effective. The last thing you want is to lose interest in your user and have them skip over. Invite your user to “join you” somehow. For example, open and inviting visuals and text such as “Save $25 and be sustainable” with an image of your product are ways to quickly capture attention. Use buzz words that not only gain interest, but also build familiarity and association with your brand; you want long-term success. Campaigns are not only limited to images itself when it comes to providing effective visuals. The image size, moving flow, and even interactivity options make a large difference, despite its detail-specific state. Consider native ad formats to avoid interrupting your user’s reading flow when browsing. You can create video ad campaigns to enable more flexibility in creative control and in capturing your user’s interest. Be sure to consider how your campaign will visually appear and react upon a mobile scroll. Visuals go beyond images and are integral to mobile campaigns. #4 Remember to get to the point! We mean this in two different ways. For one, make sure to provide proper landing pages where your user is directed to a clear, bug-free, quick-loading and relevant endpoint once clicking on your campaign link. If your campaign has a text link or “click here” button, be sure to make sure from the user point of view that it is worth it. Secondly, make sure to not lose sight of your message and/or the offer from your ads. Clarity, appealing visuals, and transparency are the essential ways to best optimize your mobile campaign ad performance. Consider these tips and tricks. Are you an advertiser with an important message you want so share? Are you seeking business outcomes? Then check out our easy-to-use Direct Booking tool or get in contact with our account managers and learn more. plista is a global platform for data-driven native advertising in premium editorial environments. As a one-stop shop plista offers advertisers and publishers direct, single-source access to a broad portfolio of native solutions. 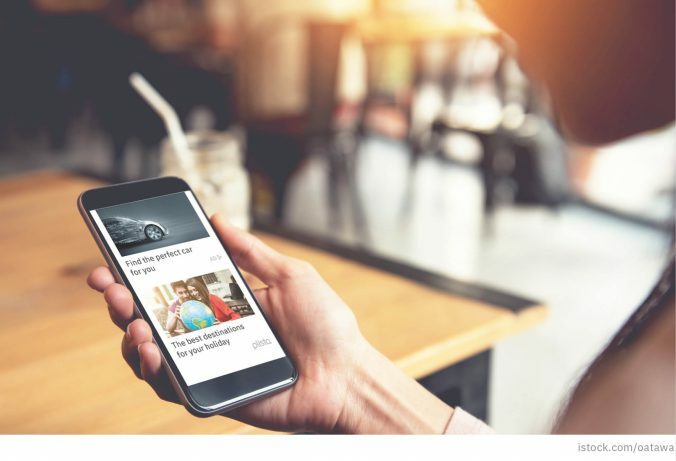 With its proprietary real-time Recommendation Technology, plista is able to deliver both content and advertising that matches users’ individual interests – across all channels and devices.